‹ PreviousHow Does a Herd Instinct Affect Trading in the Forex Market? Mine too Beth! Thank you for the Christmas wishes. Merry Christmas to you and yours as well I sincerely hope you and yours have a very merry and safe holiday season. Thank you so much for you appreciated input over the past year it has been great sharing good content and insightful input. Take Care of You! Thank you Ken and thank you so much for your input and the sharing of great content. Content is King, but the people who write it are invaluable. 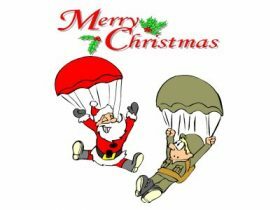 I hope you and yours have a very Merry Christmas be safe and take care of you.